In spite of the paucity of memoirs, autobiographies and biographies by and about prominent Cameroonians, a number of personalities (politicians, political activists, musicians, sportsmen, etc.) have written their memoirs and autobiographies. For example, Albert Mukong and Christian Tobie Kuo both wrote two volumes of their memoirs. Same with Jean Martin Tchaptchet (who shared that infamous last meal with nationalist leader Felix Moumie in Geneva in 1960), who has published two autobiographical volumes, and promises more. Footballer Roger Milla and musician Manu Dibango both have autobiographies. There are also a number of Cameroonians who are distinguishing themselves in the field of biographies. The leader of the pack is unquestionably Prof. Daniel Abwa, Dean of the Faculty of history at the University of Yaounde I, who has so far published three biographies - those of Andre Marie Mbida, Sadou Daoudou and Woungly Massaga. But these are merely drops in the ocean. More Cameroonians need to follow the example of these trailblazers. 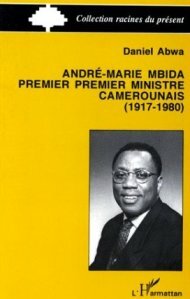 I have compiled a non-exhaustive list of memoirs, biographies and autobiographies from Cameroon. If you know of any not listed here, just add the author and title to the comments section and the list will be updated. Click here to print or download the list in PDF format. Wow Dibussi, thanks for this bibliographic list. I would never have believed that people like Sardou Daoudou, Augustin Koddock, etc., would be courageous enough to even attempt writing their memoirs. I would really like to read their take of events. Thanks for your fantastic pieces that I have been reading for years. Moumie,Marthe. "Victime du colonialisme Français".Editions Duboiris. how does these affects us, in southern cameroons? do these men ever think of us as a nation? Great work. But prominently missing is the narrative of the life of the Chairman of the Southern Cameroons Youth League, SCYL, Ebenezer Derek Mbongo Akwanga. And also missing is his narrative of the 'Genesis and revelation' in the Gambian court. For more details go to www.scylforfreedom.org. Akoson, why wuna di hamburg so? Dibussi asked for published auto-biographies and biographies and you direct him to a website????? Akwanga's story is a facinating one and he should sit down like his friend Cho Ayaba and publish it. Until then, it is just an article on the web. THE AUTHOR SHOULD BE ADVOCATING THE BUILDING OF A STONE MEMORIAL ,ON IT INSCRIBED THE NAMES OF ALL THE MATYRS KILLED BY THOSE FROGS AT UB, SOO, WE CAN ALWAYS REMEMBER, THAT IS BETTER THAN THOSE BOIGRAPHY OF DOGS. I agree paolo. I dont give a rats assets about these francophone bios, except as a place to get insights to defeat them so that we can be free. one of the things I have learned as a psychologist is that obsession (be it positive or negative) can be delibitating and even lead to paralysis (in the sens of being unable to act). This paralysis seems to be manifesting itself among the extreme fringe of the Southern Cameroons movement represented by the likes of Paolo Laurent. Dibussi's biographic list has about 2 pages worth of entries for Southern Cameroonians but instead of thinking of ways to make these avaialable to a wider public or of a strategy for getting other prominent Southern Cameroonians to tell their story, Mr. Paolo and his likes are focusing on the francophone entries. Why not focus on what is relevant to you? We are so focused on ridiculing everything from francophone Cameroon that we have stopped looking at ways to improve our lot, of learning from history... What a shame. BTW, knowledge is power and is never wasted. I just completed Barak Obama's autobiography. It was great and I learned a lot - and the guy is not Cameroonian. So my friend, knowledge doesn't hurt. There can be no stone memorials to heroes or martyrs in the present Cameroun dispensation. The true Cameroun heroes are not memorialised. Instead there are statues to French generals according to one other story here by Dibussi. Only free people raise memorials or remove them. The news today talks about the removal of a soviet era statue of a Russian soldier in the republic of Estonia. Native Estonians remember the brutal soviet occupation of their country very painfully. There are no memorials in Cameroun for Um Nyobe or Felix Moumie. There is none in Southern Cameroons for KUVA. Real heroes cannot be memorialised in a colonial state. Which one do you term "published"? A website is private, huh? Akoson, the opposite of "published" is not "private". Ebenezer Akwanga has NOT published his memoirs, in the classical sense of the word (i.e., in book/print form), even though pieces of his political experiences are on a website. To use an easier example, Dibussi has written enough articles on this blog to form a book. However, until he does so, he cannot be listed among Cameroonians who have written or published books (assuming that he has not published books which we are not aware off). You will not find "Scribbles from the Den" in any library in the world because it is not a book. Please go to Amazon.com and compare CHo Ayaba's published book to the unedited and error-prone "tract" that Ebenezer posted on the web after his trip to Banjul. It depends on what definition of 'publish' you're looking at. But understand that one of the definitions has 'private' as it's opposite. See the first definition of 'publish' at one of the world's leading online dictionary ...http://www.m-w.com/dictionary/publish. Let's not be unncessarily critical about the language and definition of words here. "...I have compiled a non-exhaustive list of memoirs, biographies and autobiographies from Cameroon. If you know of any not listed here, just add the author and title to the comments section and the list will be updated..."
Now I beg to be critical of this paragraph. Go to the official website of the SCYL(note that it's a Southern Cameroon movement recognised by all the other existing movements) you'll find in BOLD-FACED, CHAIRMAN'S AUTOBIOGRAPHY. If he(the chairman of SCYL) dies tomorrow, GOD FORBIDS, you'll tell us he didn't PUBLISH anything? That is his autobiography on the SCYL official blog at http://www.scylforfreedom.org/chairman.html. He didn't post it therefore for himself. It is for the whole world. It is for public consumption. Make good use of it! COMING UP BY MID 2007 - A BOOK CO-AUTHORED BY LUCAS CHO AYABA AND EBENEZER D. M. AKWANGA,JR., TITLED: "FREEDOM UNDER THE THREAT: The Case For War"
Mr. Dibussi could contact them privately and see what he could get out of what they've in store. I don't know Mr. Akwanga personally but I've read widely about him. He's a great beacon light of hope for the Southern Cameroonian people. Watch him closely and only time shall tell. His first moves have drawn sympathy and support. Let's not ignore him! look at their lands been stolen and sold by the primitive pigmy president called paul biya from the bush . (cdc) no one can riot or sue the regime in newyork. just talking french ies stuff as if africa cares much about dem frogs. Rev. Fr. John Musi Yonghabi. "A MISSION BOY, From Nowhere To Somewhere". Bamenda, Cameroon: Printing Technology, 2000. Tribalism can kill all good things in Africa. It can damage the Southern Cameroons cause . It looks like under your thin skin is a fierce tribalist that comes out once somebody scratches Paolo Tumma. Tribalism without shame is the worst disease that we caught from the people you are fighting. Treat yourself first doctor. Great job Tande. That provides a source for quick reference for those interested in Cameroon's evolution,especially students and scholars engaged in research. It should also be an eye openner for those interested in further research on bios, autobios and memoirs on Cameroon. Cameroonians, in fact, should take away the initiative from foreign scholars in this field- some years back I worked with an American Professor on A Historical Dictionary of Cameroon; the only academic piece so far in that area. 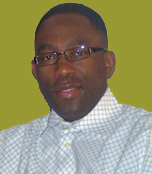 Akwanga Ebenezer has published his much-awaited memoirs - "Smiling through hardship". It is now available on amazon.com. The book is described as "the absorbing personal story of the sufferings, persecution, hardship, detention, brutal torture, death threats, imprisonment and assassination attempts of the most dynamic, courageous, incorruptible, steadfast and charismatic leader of the Southern Cameroons revolution. This is a true testament of the greatest spiritual, emotional and physical power from which every true crusader for freedom can learn." I will be reviewing it here down the road. Great job!!! Hoyet, Dominique, and Francis Bebey. 1979. "Francis Bebey: ecrivain et musicien camerounais." Paris: F. Nathan. Bebey, Kidi. 2002. "Francis Bebey: l'homme-orchestre : un dossier." Africultures, no 49. Paris: L'Harmattan. Ambe-Neba, Walters. 1993. "The ordeal: the experience of the author in detention shortly after the proclamation of the October 11th, 1992 presidential elections in Cameroon." [Cameroon]: W. Ambe-Neba. this's an unbelievable project!keep it up cos the best will be rewarded in the future! "Félix Tonyè Mbog : l’homme qui créa les Lions Indomptables" by Edouard Oum. With a Foreward by Issa Hayatou (President of CAF) and afterward by Michel Zoah (current Minister of Sports). Unknown publisher. 154 pages.